With all this winter weather (snow! ), our thoughts have turned to warm weather getaways. What would be perfect: a family-friendly vacation that is relatively stress-free, doesn’t require a lot of planning, and is somewhat easy on the budget. A Caribbean cruise fits all our requirements with the added bonus that once we’re onboard, we only have to unpack once. A family vacation is for everyone and so the activities must be as well. We want a cruise line that offers age-appropriate activities for our children and where they can meet kids their age. While family time is important, we also realize that time apart is healthy. Full service spas, adult-only pools, and romantic dinners top our activity list. Together time is important though, so we want onboard activities that we can do together. Kid-friendly cruise lines offer everything from rock climbing walls to miniature golf to pools with waterslides. And many offer art centers where we can find our inner Van Gogh. We want to get off the ship and explore the island destinations as a family. Saint Thomas and Dominican Republic cater to families and offer a variety of water sports and beach activities. And, they have restaurants with menus that offer enough variety to please everyone in our family. While lots of beach time is important, we want to explore the island. On our family list: heading to the mountain areas for hiking or biking (ziplining, maybe? ), taking an eco-tour through the national parks, exploring the underwater world with a scuba tour, or wandering the quaint towns in search of history and souvenirs. Our children are of an age where having more space to spread out is important. An inner stateroom with bunk beds isn’t for us. We like cruise lines that offer adjoining staterooms or family staterooms – giving us breathing room while still being together. So who are the most kid-friendly cruise lines? In our opinion, Disney Cruise Line, Royal Caribbean Cruises, and Norwegian Cruise Lines. They offer fantastic age-specific activities for kids, travel to great Caribbean destinations, offer family-friendly staterooms, and fit our budget. A successful family get-away includes staying connected to each other and to those back home. 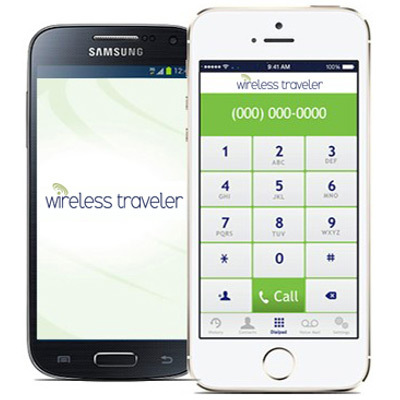 Wireless Traveler provides seamless connectivity options at low cost. We have the Wirelesstraveler app on everyone’s smart phone and we always travel with a Pocket WiFi hotspot so everyone can connect to the Internet.